A beautiful Moroccan camel bone trunk from Marrakech. 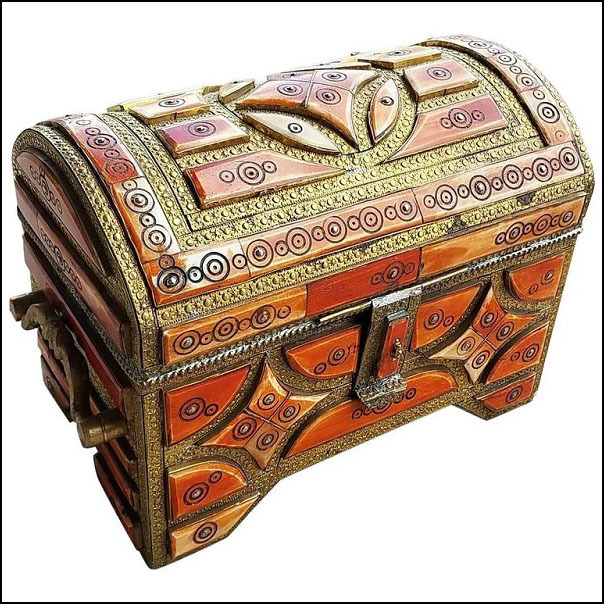 Camel bone dyed in henna mixed with metal inlaid makes this trunk a great addition to any decor. Measuring approximately 10″ x 8″ x 6″, this trunk has burgundy velvet lining inside, and strong brass handles on each end. Please contact us for more details. Also available in bigger sizes.
. Please email us your zip code for a shipping quote.